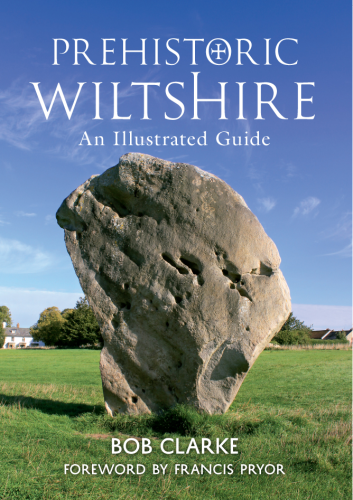 If you are in doubt about the key role Wiltshire plays in the long history of these Islands, and that it has done so since the time humans first set foot on our soil, this book joins the growing scholarly titles from the excellent ‘heritage; publisher Amberley Publishing will dispel it. This attractive book is the latest in a successful series from the Stroud-based publisher Amberley. (Amongst others, their titles include Prehistoric Gloucestershire by Tim Darvill, and John Aubrey and Stone Circles: Britain’s First Archaeologist by Aubrey Burl.) It is well written by a knowledgeable local archaeologist in a style that is pleasingly free of jargon, and opens with a fitting tribute from Francis Pryor. As with some other titles in the series, this pocket-sized book is specifically designed as a field guide (at 235 x 165mm it is slightly larger than A5), in this instance describing nearly 50 of the most visible and accessible prehistoric monuments within the county of Wiltshire. The selected sites are grouped by topographic region (the Marlborough Downs, the Vale of Pewsey and so on), the majority situated on the chalk uplands. All the familiar forms of earthwork from causewayed camps and long barrows to round barrow groups and hillforts are covered. 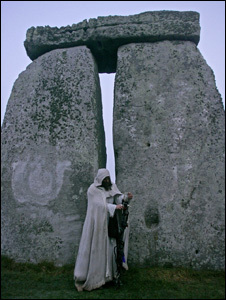 Appropriately, they include the monuments of the World Heritage Site centred on Avebury and Stonehenge, but information from the latest fieldwork in those areas ensures up-to-date coverage. An introductory section provides a brief outline of the conventional sub-divisions of later prehistory (the Mesolithic to the Iron Age). Thereafter, details are offered on how best to reach each site: although there are no maps, National Grid References and useful directions are offered. Some of the sites are on private land and hence the book judiciously warns ‘this guide does not infer rights of way’, deferring to the county’s highway authority for the latest information on footpaths and bridleways. Nonetheless, it describes what can be seen at each site from the best publicly-accessible vantage points. The entries briefly describe the history of investigation at each site and summarize current understanding of its function and date. The book is beautifully illustrated. The majority of the figures are the author’s own fine colour photographs, although some monochrome archival images are also used where necessary. Arguably the best views are the excellent oblique aerial photographs. Their use as an invaluable aid to comprehension recalls the local tradition pioneered by O. G. S. Crawford and Alexander Keiller in their 1928 work, Wessex from the Air. Evidently, the author enlisted the help of several pilots, employing a range of micro-light and private aircraft to gain the necessary perspective. Because the book focuses on visible sites, most of the subjects are obviously upstanding earthworks. Nonetheless, the photographs include a few soil-marks, crop-marks and excavations to emphasis that even in an area which boasts some of the country’s best-known monuments, many others have been lost from normal view. It is well known that Wiltshire contains a remarkable number of well-preserved field monuments of various forms, and hence the author is in the enviable position of being able to select the most impressive. Because of the quality and visibility of its ancient monuments, Wiltshire is an ideal region to serve as an introduction for those unfamiliar with prehistoric remains, but equally it is an unceasing source of inspiration for the most experienced archaeologist. The field monuments are complemented by outstanding local museums whose displays reflect the long history of archaeological investigation within the county. Yet, despite the richness of their collections, these museums remain the responsibility of private trusts and societies that constantly struggle to find the necessary resources to conserve and exhibit their assets. It is most commendable, therefore, that Bob Clarke, the author, has written Prehistoric Wiltshire as a personal contribution to the Wiltshire Archaeological and Natural History Society’s fund raising effort to re-display the famous Bronze Age gallery at Devizes Museum. There are thus two compelling reasons to buy this excellent book – to guide you to some of the best prehistoric sites in Southern England, and to help display the spectacular objects found in some of those sites.